WILL MY STUDENT LOANS GET DISCHARGED IF I FILE FOR BANKRUPTCY? Unfortunately, no. The bankruptcy code describes student loans as non-dischargeable. This means that if you file a St. Louis Chapter 7 bankruptcy, all of your other unsecured debts (like credit cards, medical bills, payday loans, etc.) will get knocked out. But the student loans will still be there at the end of your case. Once your case is discharged, you will need to make arrangements with the student loan companies to get back on some sort of a repayment plan. The good news, however, is that once all the rest of the unsecured debt is discharged, you will be in a much better position financially to pay off the loans over time. When a St. Louis Chapter 13 bankruptcy is filed, the court handles student loans a bit differently. A Missouri Chapter 13 involves a repayment plan over the course of three to five years, during which time certain creditors are paid back (although it is still possible to receive a discharge of unsecured debt in a Chapter 13). So it is quite possible that part of your monthly payment will go towards the student loans. But regardless of how much of your student loans are paid back during the time you are in the Chapter 13 repayment plan, you are not obligated to make any additional payments to the student loan companies while you are in the plan. For example, if your monthly Chapter 13 payment is $350 (an amount that is dispersed by the St. Louis Chapter 13 Trustee to various creditors listed in your repayment plan), a portion of this money may go towards the student loans. But you will not then be required to make your regular monthly student loan payment on top of that. The $350 you pay each month to the Trustee will cover the student loan debt (even if your regular student loan payments are higher than $350). This is significant because this in essence gives you a deferment on your regular student loan payments for the next three to five years. Of course, once your St. Louis Chapter 13 bankruptcy is discharged, the remaining balance owed on the student loans will have to be repaid. And much like in the case of a Missouri Chapter 7, you will then need to make arrangements with the loan companies to restart your regular monthly payments. Either way, it is important to speak with an attorney that is knowledgeable about how student loans are affected when you file for bankruptcy. 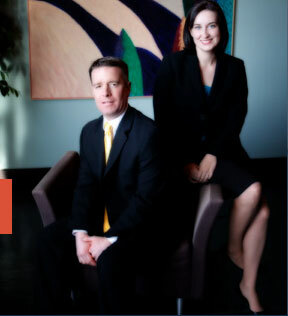 The St. Louis bankruptcy lawyers at Brinkman & Alter, LLC have over ten years of experience in the specialized area of bankruptcy. Our staff is ready to set you on the road towards financial success, and get you the fresh start / clean slate that you deserve. In addition, all phone and office consultations are free of charge.